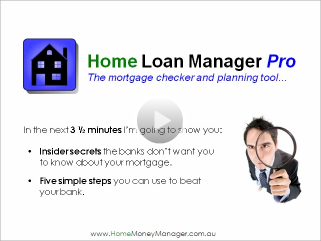 In just 3 1/2 minutes you can find out what the banks don't want you to know about your mortgage, and discover five simple steps to beat your bank starting today. These tutorials will show you everything you need to know about the software. To watch a particular tutorial, click on it in the Table of Contents above. Discover the insider secrets the banks don't want you to know about your loans, and five simple steps you can use with this software to beat your mortgage. 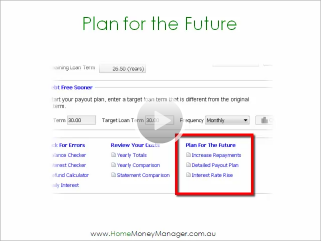 This tutorial will show you how you could save over $165,000 off your mortgage repayments. 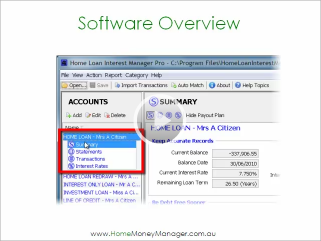 Take a look at the layout of the software, find out how to use the information from your mortgage statements, and see how easy it is to keep all your loan details in the one convenient location. The planning reports use all the information you capture from your statements, to help you answer important questions about your mortgage - and the payout plan will show you how to cut years off your mortgage. 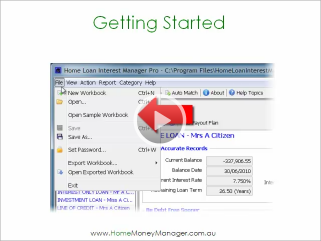 Use the import wizard and the automatching tools to get the job done in minutes, and watch the step by step instructions on adding a statement, checking for errors and reviewing your mortgage. The software can handle all types of loans and mortgages, and to help you get started we've set up a range of loans in the sample workbook - that you can use as a reference when setting up your own loans. 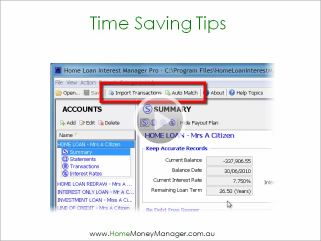 You can also try the import wizard and automatching tools using the sample transaction file, and then follow the instructions to set up your own workbook with all your loan details. Watch the Today Tonight show featuring Home Loan Manager Pro and discover how to check your mortgage for costly bank mistakes. 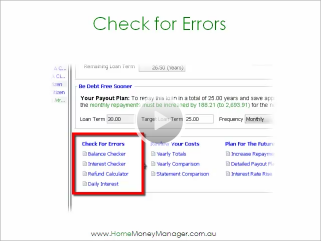 Lyndsey didn't know she was being short changed by her bank, until she used Home Loan Manager Pro to check for hidden bank errors. "It could have ended up costing me about $20,000..."